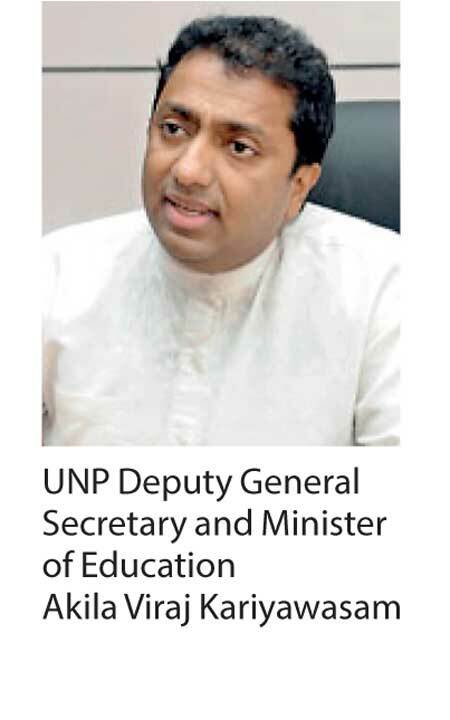 UNP Deputy General Secretary and Minister of Education Akila Viraj Kariyawasam yesterday asserted that claims made by President Maithripala Sirisena and various parties concerning the loss of revenue to the State were merely political speeches targeting the upcoming elections and had no factual value. “At a time when Sri Lanka has a current account surplus of Rs. 22 billion, it is obvious that any statement about loss of revenue to the State is one that is said targeting the elections,” the Minister said in a statement. The statement further affirmed that no state institutes were privatised to increase Government revenue. The Minister also pointed out that both the International Monetary Fund and the Central Bank had noted that Sri Lanka’s economic growth despite natural disasters ravaging the country was a clear indication of the start of a progressive and fast-growing economy. He went on to say that the incumbent government had inherited a massive debt trap causing them to streamline state institutions to make them more efficient in order to resolve the nation’s debt problem.